The new solution further extends the integration platform's capabilities, offering secure and streamlined integrations for Salesforce and other systems. Magic Software Enterprises, (NASDAQ and TASE: MGIC), a global provider of end-to-end integration and application development solutions and IT consulting services, today announced the launch of Magic xpi 4.7, a solution that enables organisations to quickly adapt to changing technologies and business conditions, while providing a multi-point low code solution that aims to lower IT development and operational costs associated with integration. Magic Software, which recently extended its partnership with Salesforce, included new features in Magic xpi 4.7 to make the integration between Salesforce and other systems even easier. 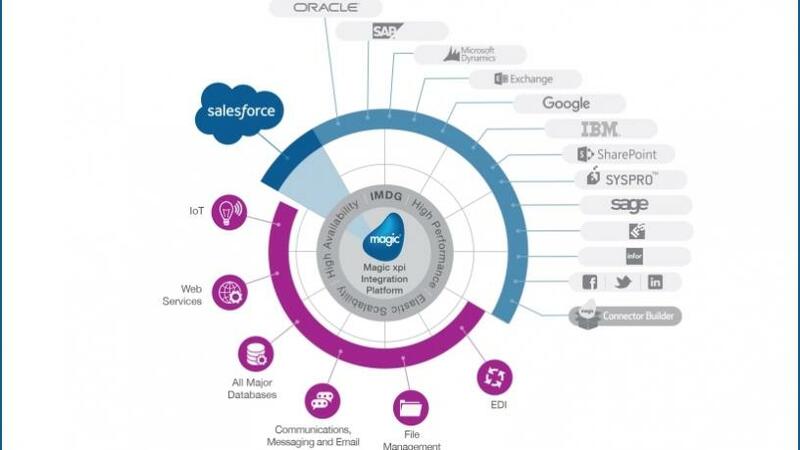 By collaborating with Salesforce, Magic Software is significantly expanding its partners' network and maximising its service offering to customers around the world, enabling them to better serve their customers via all channels by connecting to back-office ERP and finance applications, and streamlining business processes across numerous applications. Magic xpi 4.7 delivers quick, reliable and cost-effective enterprise application and business process integration for CRM, ERP and e-commerce vendors including Salesforce, SugarCRM, Microsoft Dynamics, SAP, Sage, SYSPRO, Microsoft SharePoint and more. * Expanded out-of-the-box connectivity with a new OData Provider connector. Magic xpi's OData Client connector is now joined by a new OData Provider connector, making legacy back office data accessible as real-time OData to external systems, including Lightning Connect, an application development framework from Salesforce. * Active Directory Federation Services (ADFS) support for the SharePoint Online (MOSS) connector, adding an extra level of security to SharePoint integration projects. ADFS will authenticate users to Active Directory and also provide access to claims-aware applications, including Salesforce and Microsoft Office 365. * Ability to write new connectors based on Magic xpa Application Platform's runtime technology. * Multiple features to improve programming productivity, for example visual indicators of data flow status and an enhanced monitor to provide an even more accurate bird's eye view of all running projects. "We're excited to join forces with Salesforce, the global leader in CRM," said Yuval Lavi, VP of Technology and Innovation at Magic Software Enterprises. "With the release of Magic xpi 4.7, IT teams across organisations are empowered to innovate freely, deliver better customer experiences, quickly introduce new products to market and contribute to building a more agile and competitive enterprise."